If you’re looking for relief from the summer heat, then what you need is Sigh in July. 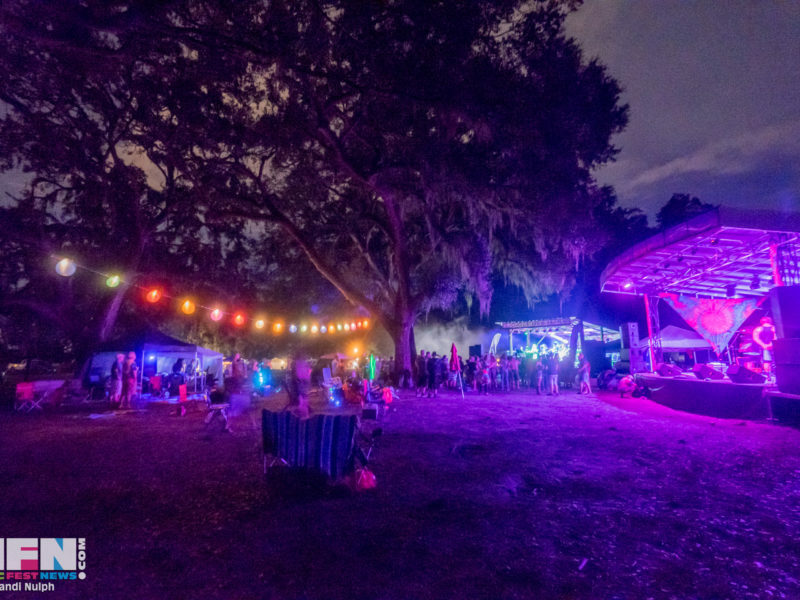 This Friday and Saturday (July 21 & 22), Universal Sigh, Ever Upward Entertainment, and Live Wire are hosting Sigh In July Music & Arts Festival at Live Wire’s indoor and outdoor stages. In addition to the amazing music, you’ll find creative workshops, live painting artists, community panels, vendors, and food trucks. Your hosts are Universal Sigh, Athens’ metamorphic rockers, featuring Steve Terry, guitar, keyboards, vocals; Pace Maynard, guitar, vocals; Austin Parker, bass, vocals; and Jones Maynard, drums, percussion. 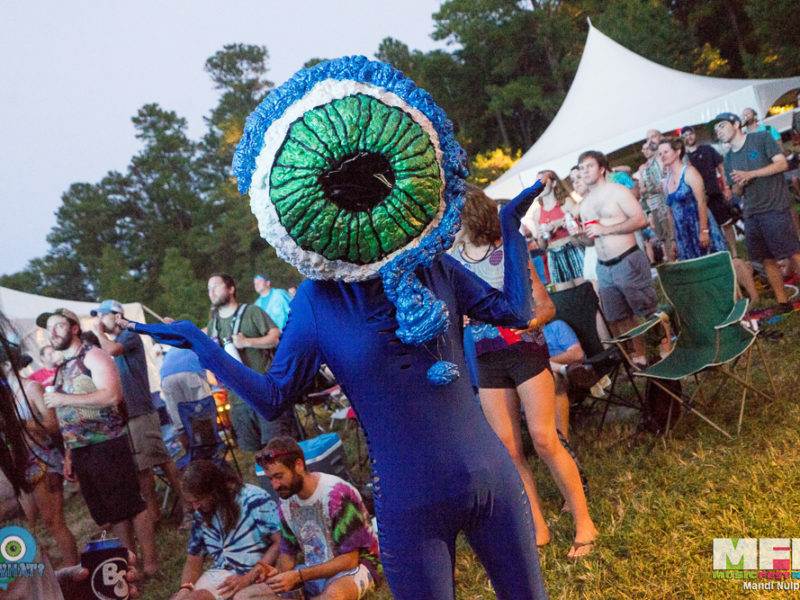 They headline Saturday and also team up with Athens’ ten-member funksters with a six-horn front line, Mister Tie Dye, for a collaboration Friday they call Mister Sigh Dye. Yes, indeed! 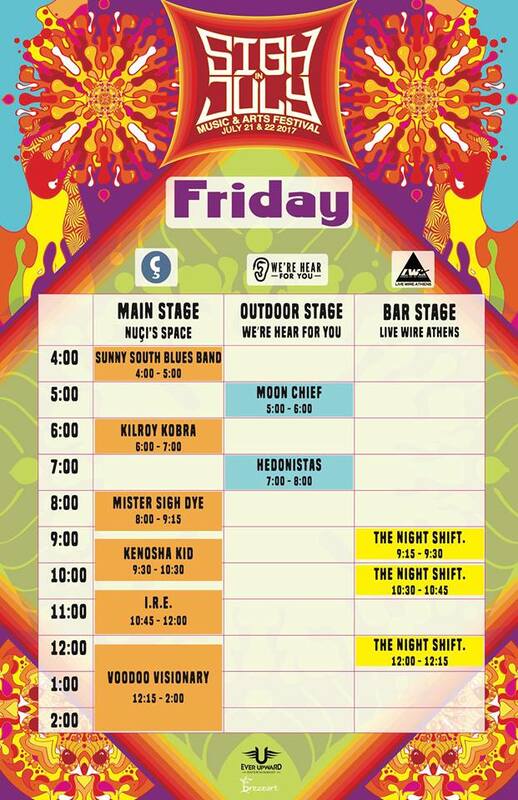 Friday, music starts at 4 PM on Nuçi’s Space, the main stage, with the Sunny South Blues Band’s bluesy rock. Most of the sets will be on Nuçi’s Space. Moon Chief is up next on the outdoor We’re Hear for You stage. Kilroy Kobra is up next, followed by Hedonistas from Atlanta. At the Live Wire Athens bar stage, The Night Shift, alt-rockers from Atlanta, will play several short sets. Next on the main stage is the aforementioned Mister Sigh Dye blowout. Jazzy indie music is up next from Kenosha Kid, yet another fine Athens export. I.R.E. from Atlanta translates as Intel Rhythm Eclectic, and they plan to put reggae in your funk and funk in your reggae. Finally, Voodoo Visionary will cap of the evening with a blistering set of their fine, funky, original rock, displaying tunes from their sophomore album Off the Ground. The ATL sextet has been packing them in and just completed a successful national tour. Saturday, great Athens bluegrass purveyors Heart of Pine open on the outdoor stage at 2 PM, followed by a don’t-miss performance on the main stage by Athens Tango Project. Tallulah George is up next. 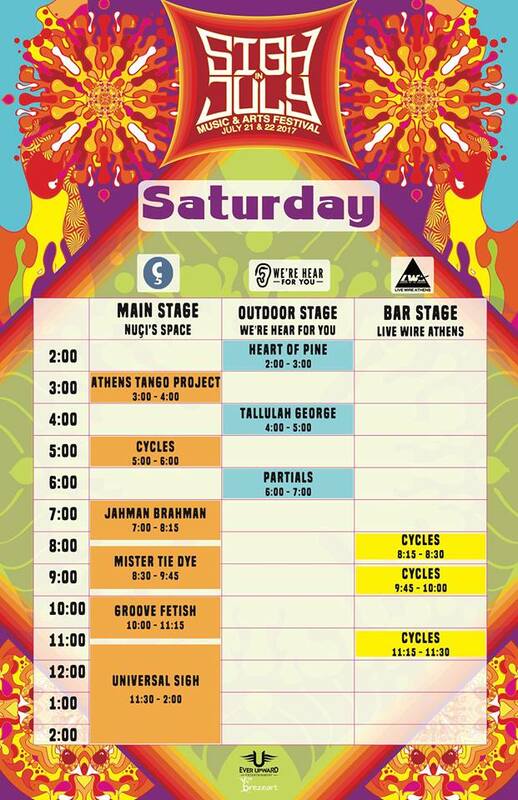 Psychedelic rock fusion trio Cycles takes a spin on the main stage, and later the Denver band will play several short sets at the bar. You’ll find “sophisticated dance music” from locals Partials. Asheville’s Jahman Brahman joins the party with their “shred’n’flow” approach covering a wide swath of genres. Mister Tie Dye does its horn thing next, followed by Groove Fetish from Wilmington NC; the band’s name tells you everything you need to know. And your hosts, Universal Sigh, will have the last word. Ready to Sigh? You’ll be glad you did!